We’ve previously taken a look at the median age of the players in each Grand Final-winning side from 1987 onwards. Long story short: the 2011 Cats were the oldest Premiers, the 2010 Magpies the youngest. But age and experience are not the same thing. 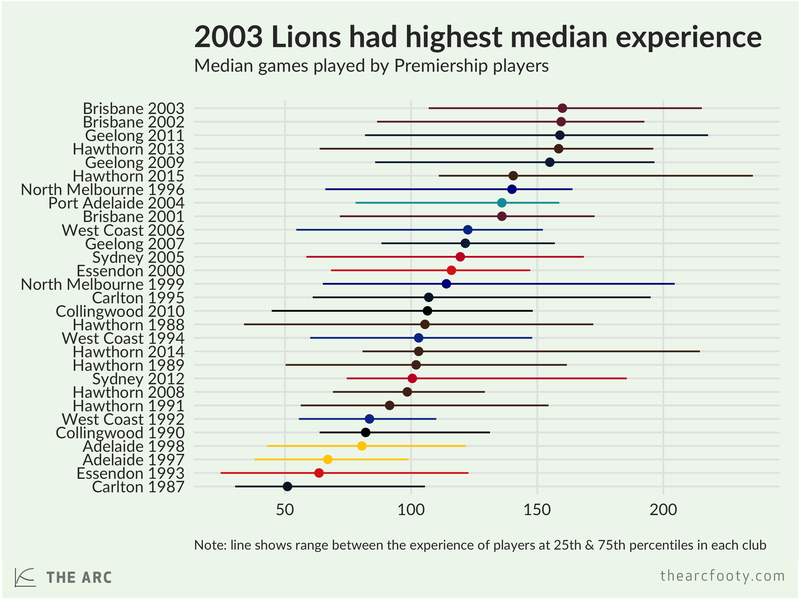 It turns out that the 2003 Lions were the most experienced Premiers in the post-1987 era, if we rank the teams by the median number of games played by their Premiership players. Notice that the 2010 Magpies are close to the middle of the pack on this measure, albeit skewed a little to the inexperienced side. Take a look at the 2015 Hawks in the chart above. They were only the sixth most experienced Premiers in the modern era, if we rank by median experience. 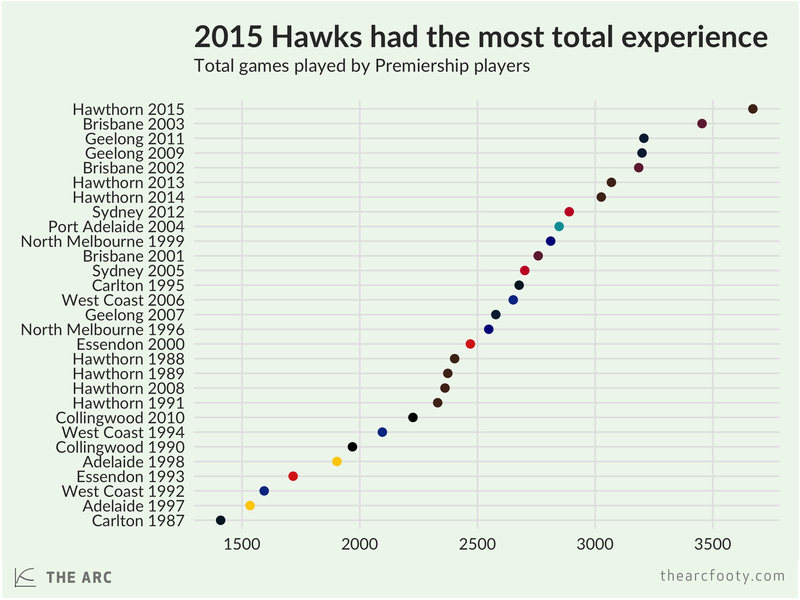 But notice that the line for the 2015 Hawks extends a fair way to the right. This means that the player at the 75th percentile of the 2015 Hawks’ experience distribution had played over 200 games. If we rank the Premiers by their total games played, rather than the median, then the 2015 Hawks steal top spot from the 2003 Lions. Previous article	← Free kick Bulldogs!